No Squadron Meeting this Week!! 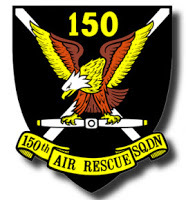 Squadron 150 will not be meeting this week (29 June, 2017) since it is the fifth week of the month and our squadron is typically "dark" during the fifth week. In the meantime we hope you have a Happy Independence Day and we look forward to seeing you at our next Squadron 150 meeting on 6 July, 2017! Learn about Unmanned Aerial Vehicles (UAVs) this Thursday! This week Capt. Gary Mathieson will be conducting an Aerospace Education-themed presentation on Unmanned Aerial Vehicles (UAVs), commonly known as drones. 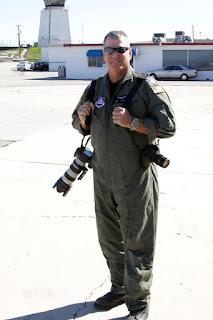 Captain Mathieson is a professional photographer who has purchased a drone for both personal and professional use and will be sharing his experiences flying a drone for our members and guests. UAVs are an ever-growing presence in our skies and we know this program will be a valuable and interesting one for all who attend! Congratulations to Capt. Douglas Hardy who was recently presented the Benjamin O. Davis Jr. Award for completing Level Two of the Civil Air Patrol Professional Development Program! The Benjamin O. Davis, Jr. Award is given to Civil Air Patrol (CAP) members who complete Level Two of the Senior Member Professional Development Program. It recognizes those members who have dedicated themselves to leadership and personal development in the CAP. This award was first given in 2006 and honors the late General Benjamin Davis. A pioneering military officer who was the leader of the fabled Tuskegee Airmen during World War II, and the first African American to become a General in the Air Force. The second milestone is the Davis Award. Members must have completed Level One of the senior member professional development program as well as the CAP Officer Basic Course. Members must also complete the Squadron Leadership School and achieve at least a technician rating in a specialty track of their choice. Of CAP’s 35,000 senior members, about 670 earn the Davis Award each year. Congratulations on your award Maj Jerry Civalleri! 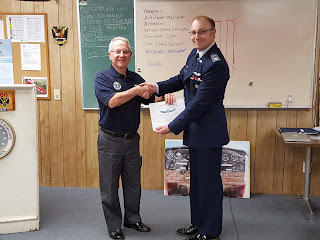 Long Beach Senior Squadron is proud to announce that Maj Jerry Civalleri was recently presented with the Civil Air Patrol (CAP) Achievement Award for his outstanding duty performance. 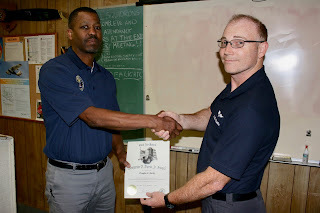 Major Civalleri serves as Squadron 150's Professional Development Officer and as an Assistant Personnel Officer and much of what we do would not be possible without his hard work and dedication. Congratulations Maj. Jerry Civalleri on your award!